Requirement: Empty recycle bin in SharePoint Online using PowerShell. 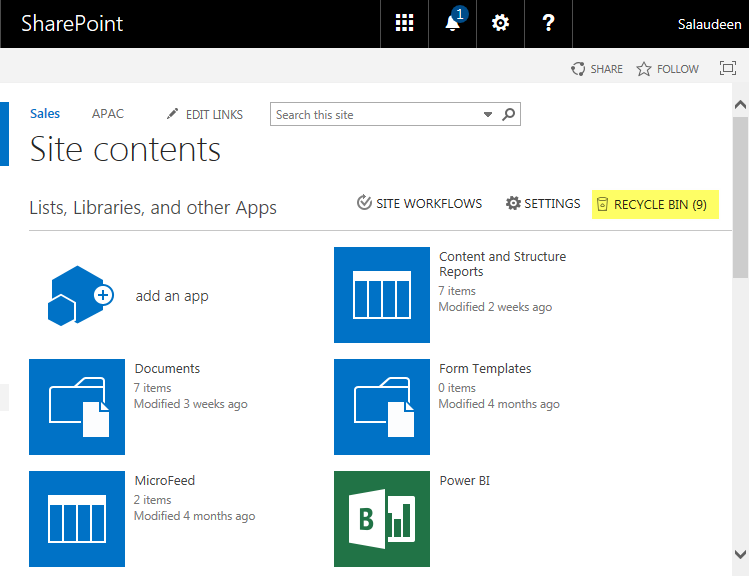 How to Empty Recycle bin in SharePoint Online? Navigate to your SharePoint online site, Click on Site Settings Gear >> Choose "Site Contents"
Select all items and click on "Delete Selection" link to delete items from recycle bin in SharePoint online. This moves items to second stage recycle bin. If you have Site collection Admin rights, you can use Recycle bin link at Site Settings >> Recycle bin (Under Site collection Administration) to access deleted items of all users and second stage recycle bin. Here is the PowerShell to empty recycle bin in SharePoint Online. This permanently deletes all items from both end-user (first stage) recycle bin and site collection Administrator (second stage) recycle bin. 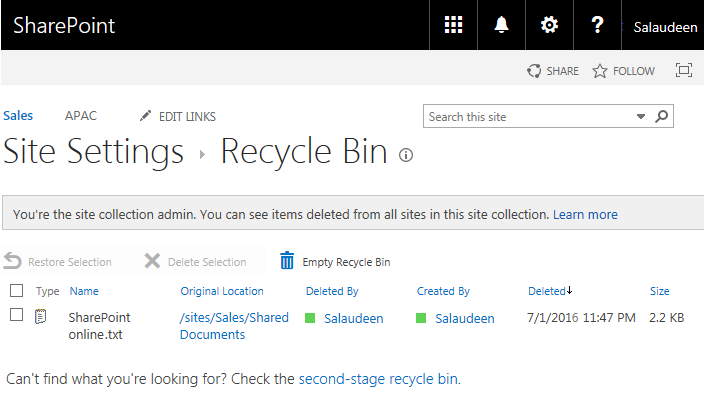 This empties site collection recycle bin in SharePoint Online. To empty second stage recycle bin, use -SecondStageOnly switch. Is there a cmdlet for emptying second-stage recycle bin?